You wouldn’t think that there would be a steak place in Ortigas Home Depot. Hai Chix and Steaks is located at the back of the complex. Alnette and I had lunch there once before and I wanted the family to try it too. We went there on a weekday for lunch and only one other table was occupied. Upon entry, they will show you the way to the counter, behind which is the blackboard where they have the menu. You place your order at the counter then you will be led to your table. 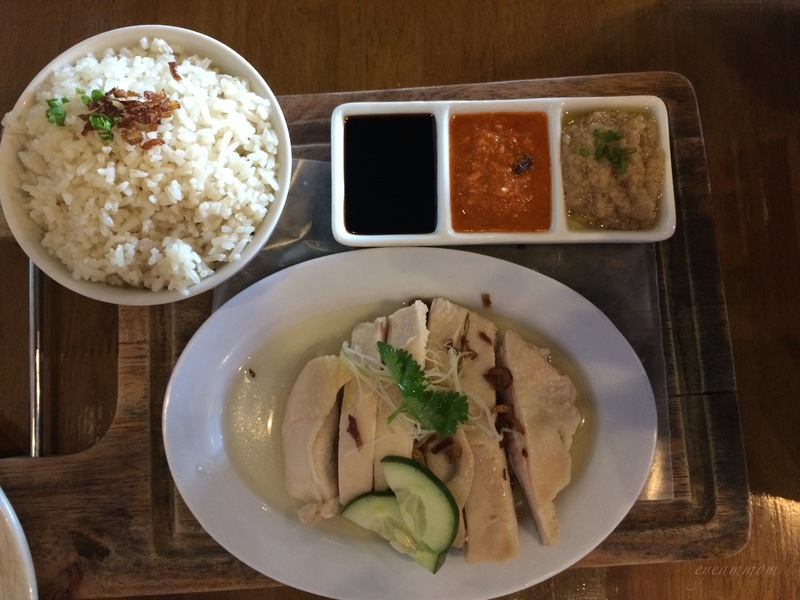 We figured we’d go with their specialty – the Hainanese Chicken Rice and the US Angus Ribeye. The chicken was very soft and tender, served with the usual trio of sweet soy sauce, ginger sauce and chili sauce. It is definitely one of the better versions available in the Philippines. The rice, though, was quite bland. The steak was not as good. 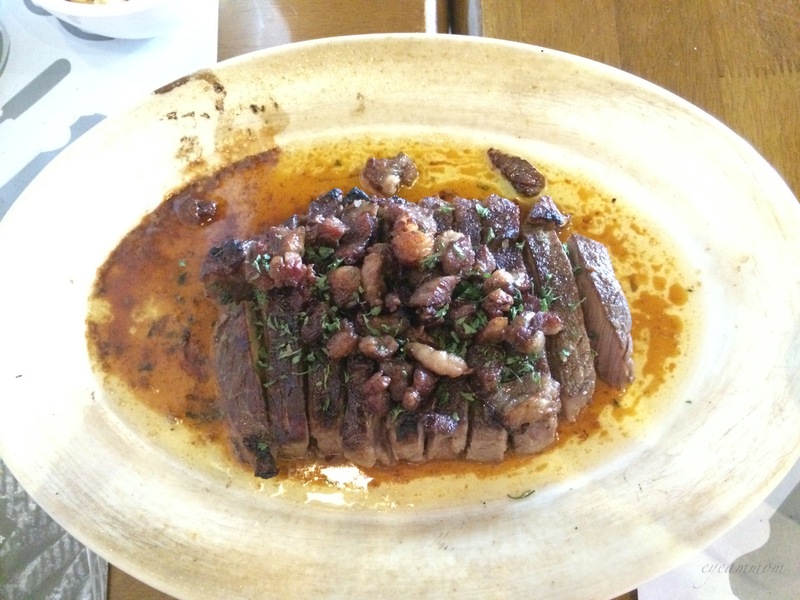 It was flavorful alright but the meat was quite tough. The steak was served with rice. They did not have other side dishes on the menu. I think they should offer more choices for sides. Personally, I think rice doesn’t go very well with steak. 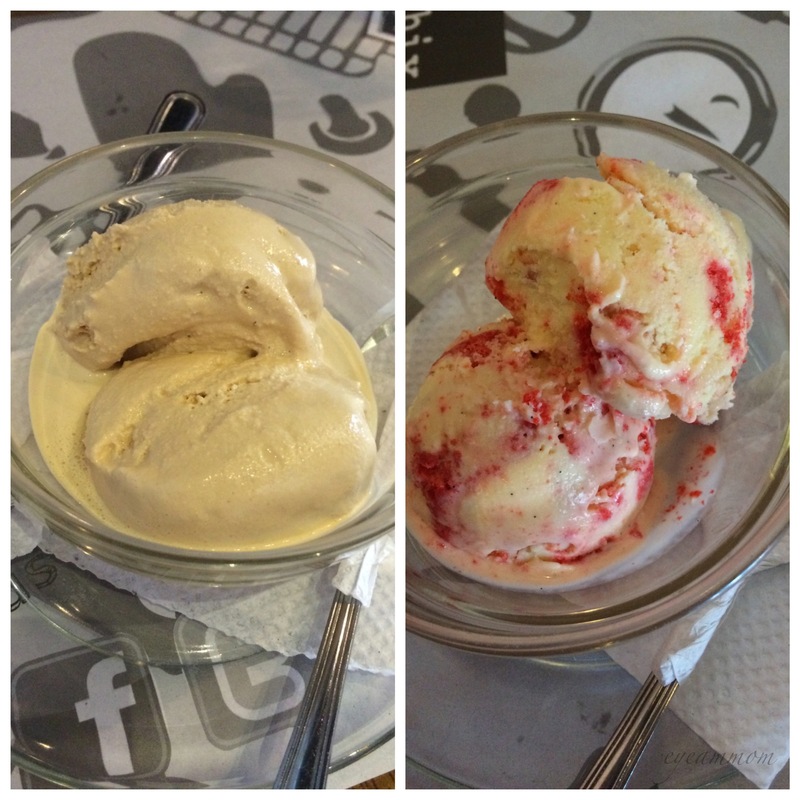 For dessert, we ordered the salted caramel ice cream and the red velvet ice cream, both of which were good. I would have wanted my salted caramel ice cream to be thawed less next time. We noted that they offer breakfast also. There are lots of interesting choices there so we just might come back to try that. This entry was posted in Food and tagged Hai Chix & Steaks, Ortigas Home Depot restaurants. Bookmark the permalink.